Waiting for G20. By Daily Reckoning. 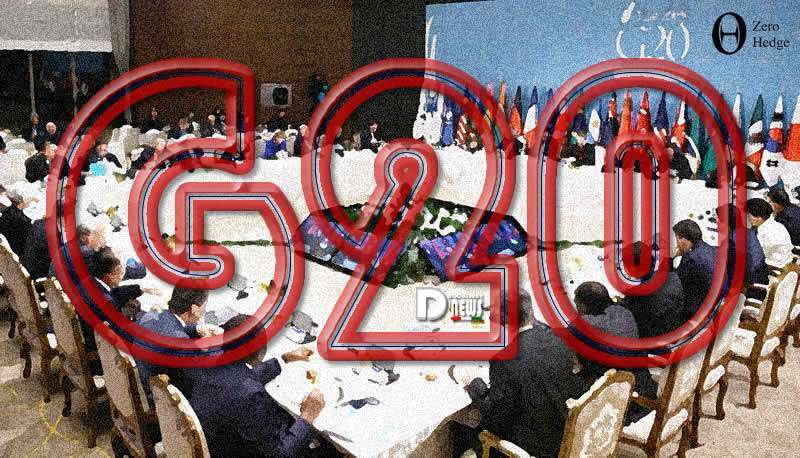 The Group of Twenty, known as G20, is an unaccountable and powerful organization that is the closest thing on earth to a true world government. German Chancellor Angela Merkel, the rotating President of the G20, will host the next G20 meeting in the city of Hamburg, on the mouth of the Elbe River near the North Sea Coast. G20 refers to its twenty member countries. They are a mixture of what were once the world’s seven largest economies, known as the G7, consisting of the United States, Canada, France, Germany, the UK, Italy and Japan, and some fast-growing, newly emerging economies such as Brazil, China, South Korea, Mexico, India and Indonesia. Other countries such as Russia and Saudi Arabia are included because of their natural resources or for reasons of geopolitics. The G20 operates at many levels. Several times each year their finance ministers and central bank heads meet to discuss technical issues and try to reach consensus on specific goals. The most important meetings, however, are the leaders’ summits, attended by presidents, prime ministers and kings, which meet periodically to discuss global financial issues. It is at these leaders’ summits, both in the formal sessions and informally on the sidelines, that the actual deals shaping the global financial system are made. In recent years, G20 summits have focused less on financial crises and more on the one world agenda of the global elite. This elite agenda includes world taxation, climate change, terrorism, anti-money laundering and other aspects of globalized governance. Today, financial risk is once again coming to the fore as global growth continues to slow. Nationalist leaders such as Donald Trump, Vladimir Putin, and Theresa May have emerged to challenge the globalist agenda. This puts more stress on the cohesiveness of the G20 process. Financial risk, anti-globalism, immigration, and threats from terrorism will be on full display at this next G20 leaders’ summit. There will also be three key sub-plots happening off the main stage to watch closely. The most important of these private meetings involve Trump and Putin, Macron and Merkel, and the BRICS. By far, the most important encounter at the Hamburg G20 Summit will be the first face-to-face meeting between Donald Trump and Vladimir Putin. 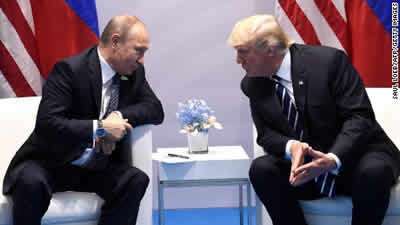 Despite the avalanche of allegations of “collusion” between Trump and Putin to rig the 2016 U.S. presidential election (an allegation for which there is zero evidence), and the presumed sympathies between the two leaders on policies involving ISIS and terrorism, they have never met and have had only limited telephonic contact. L’agenda bilaterale dei due leader non potrebbe essere più urgente. The bilateral agenda of the two leaders could not be more urgent. Trump wants to build bridges to Russia in order to prepare for a coming confrontation with China. Russia, China and the U.S. are the only three superpowers in the world. Classic balance-of-power politics dictates that if you are going to confront one power in a three-power game, it is essential to have an alliance with the other power, or at least keep it neutral. The U.S. needs a neutral or friendly Russia before it confronts China on trade, currency manipulation, North Korea and the South China Sea. Unfortunately, Trump’s efforts at opening dialogue with Russia were handled in an amateurish way by Kushner and Flynn. Both lied about their contacts with the Russians, which fed the collusion narrative. This led to investigations, and Trump’s clumsy efforts to head off those investigations have now led to allegations of obstruction of justice. Unfortunately, Trump’s efforts at opening dialogue with Russia were handled in an amateurish way by Kushner and Flynn. Both lied about their contacts with the Russians, which fed the collusion narrative. This led to investigations, and Trump’s clumsy efforts to head off those investigations have now led to allegations of obstruction of justice. Despite the dysfunction in the Trump White House and the media circus in Washington DC, the reasons for normalizing relations with Russia are no less urgent than when they were first pursued by Trump. The G20 summit will be a chance for Trump to reinvigorate the U.S.-Russia dialogue outside the context of the Beltway feeding frenzy. Putin understands this and he will be an eager interlocutor. Trump’s defense, diplomatic and national security team of James Mattis, Rex Tillerson, and H. R. McMaster are far more capable than Kushner and Flynn, and will assist in Trump’s preparation for the Putin dialogue. The Trump-Putin dialogue in Hamburg will be the most important diplomatic event of 2017. 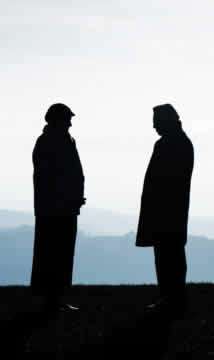 Watch closely for both public statements and leaks about the substance of the dialogue. This information will contain important clues about the prospects for war with North Korea, relief from economic sanctions in Europe, and the endgame for ISIS. Another important highlight of recent G20 summits is the informal meeting of the BRICS on the sidelines. Hamburg will continue this tradition. BRICS is an acronym for its member nations: Brazil, Russia, India, China, and South Africa. These nations include the four largest emerging markets economies, the two most populous nations on earth (China and India), and four of the six largest nations by landmass (Russia, China, Brazil, and India). 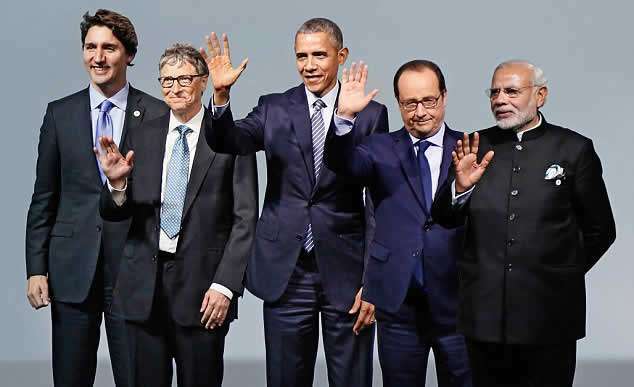 The BRICS are the main counterpoint to the G7 inside the G20. The BRICS have their own summit meetings and institutions, including a well-funded development bank. Yet, the G20 summit is a convenient time for the BRICS leaders to meet in person given the difficult logistics of coordinating so many leaders’ schedules. The BRICS agenda will be lighter at this G20 summit than in years past. This is partly because the currency wars are temporarily quiet, and the BRICS development agenda has been eclipsed to some extent by China’s “One Belt, One Road” multi-trillion dollar infrastructure initiative in central and south Asia. Still, the BRICS as a group continue to be interested in ways to bypass the U.S. dollar in global payments systems. By strengthening and expanding non-dollar payments systems, the BRICS make themselves less vulnerable to U.S. economic sanctions, which mainly operate through bank channels and dollar accounts. Gold is also an important topic among the BRICS. Russia, China and South Africa are three of the world’s largest gold producers, while Russia, China, and India are among the world’s largest consumers of gold. Watching the BRICS “sideline summit” at G20 for can provide information about gold, non-dollar payments, and broader efforts to diminish the international role of the U.S. dollar. This year, Germany will use the G20 summit to announce its support for a European “destiny” (as described by Angela Merkel) independent of U.S. preferences or fear of Russia. In effect, a reunified Germany has finally emerged from the long shadows of World War II and the Cold War. It will take its place on the world stage as an economic superpower with its own agenda. Of course, Merkel will not announce an explicitly German agenda, only a European agenda, but Germany is the undoubted leader of the new Europe. On the sidelines of the G20 meeting, it will be important to watch the ever closer relationship between France and Germany, in particular the growing cordiality between the new French President Emmanuel Macron and longstanding German Chancellor Angela Merkel. Of course, there’s nothing new about Franco-German cooperation in post-World War II Europe. France and Germany were among the original six members of the European Economic Community, or “Common Market,” created by the Treaty of Rome in 1957. The Common Market was the direct predecessor to today’s European Union. However, the degree of cooperation between these two major economic powers has waxed and waned over the years. From 2012 to 2016, the Socialist French President Hollande was at odds with Merkel on issues such as Greek bailouts and budget austerity. Macron is much more in sync with Merkel on these and other issues. One of the persistent criticisms of the EU from U.S. and UK economists was that the EU had created a monetary union through the Eurozone and ECB, but had failed to create a fiscal union with a unified budget and bond issuing authority. The criticism is valid, but the typical U.S. or UK remedy was to break up the Eurozone. That was never the intention of EU leaders. Instead their solution was “More Europe,” which means unified banking regulation, a central fiscal authority and a Eurozone parliament to debate fiscal and monetary issues with a view to unified solutions. Macron and Merkel (known to wags as “Mackerel”) are in accord on the More Europe approach and are already taking steps to implement that vision. G20 will be their first joint appearance on a world stage. President Trump has picked fights with Europe about their financial contributions to NATO and their liberal immigration policies in the face of terrorism. President Putin is isolated from Europe because of continuing sanctions related to his actions in Ukraine. Merkel recognizes that Europe is increasingly on its own and needs to purse a destiny independent of the U.S. and Russia. Macron has publicly voiced the same view. Macron appears to be the strongest French leader since Charles de Gaulle. Merkel is undoubtedly the strongest German leader since Konrad Adenauer. Together, their like-mindedness will deepen European integration and make the Eurozone and the euro stronger than ever. The G20 meeting will be an ideal opportunity to put the new Franco-German alliance on display. This will signal to the U.S., China and Russia that EU policies will reflect EU priorities and not be mere accommodations to the preferences of the U.S. The likely beneficiary of this new European outlook will be China. With Russia still subject to sanctions, and the U.S. in a more confrontational mode, China will be met with open arms by the new Europe. China is looking to diversify its reserve position away from dollars towards euros. China is inherently cautious and was reluctant to invest heavily in euros while the European sovereign debt crisis rolled on from 2010 to 2015. Now, the European crisis has passed, the economies of the periphery states of Spain, Portugal, Greece, and Ireland have stabilized, and Franco-German cooperation is growing. China is ready to take the plunge with portfolio investment in European debt and direct foreign investment in ports, airports, highway systems and other critical infrastructure as well as large stakes in key European companies. Even China’s “One Belt, One Road” initiative envisions continuous transportation links from Shanghai to Rotterdam, and will need European participation. While Trump and Putin are meeting privately, expect to see “Mackerel” and China’s President Xi engaged in their own trilateral diplomacy. This will be another one of the G20 sub-plots to watch closely for clues about the best investment opportunities. This will be one of the most important G20 meetings ever. It will facilitate a Trump-Putin pro-nationalist channel of communication, and will be a platform for the emergence of the new Europe under the joint leadership of Macron and Merkel.